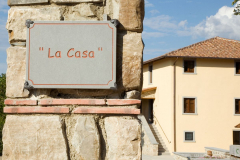 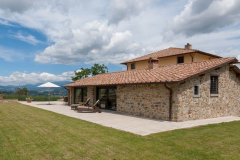 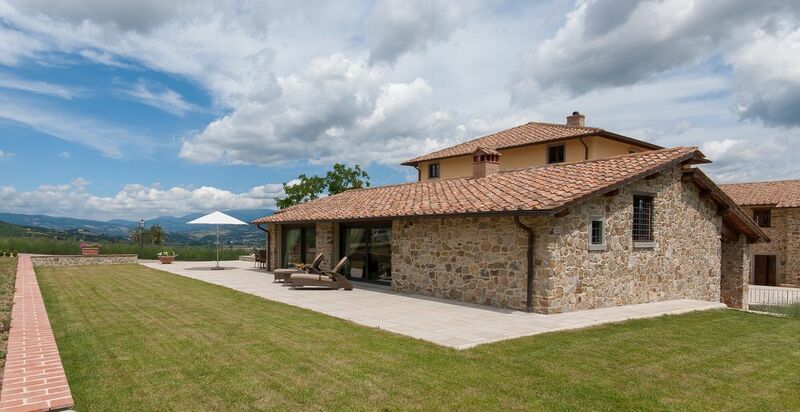 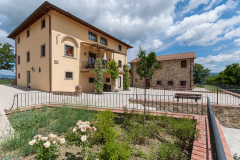 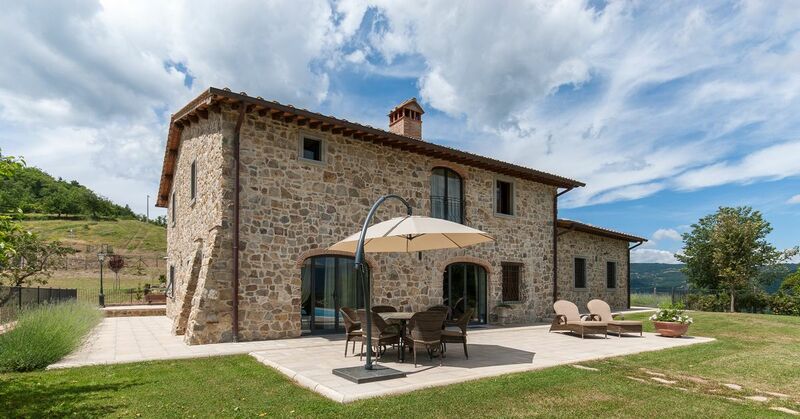 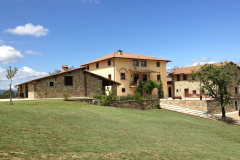 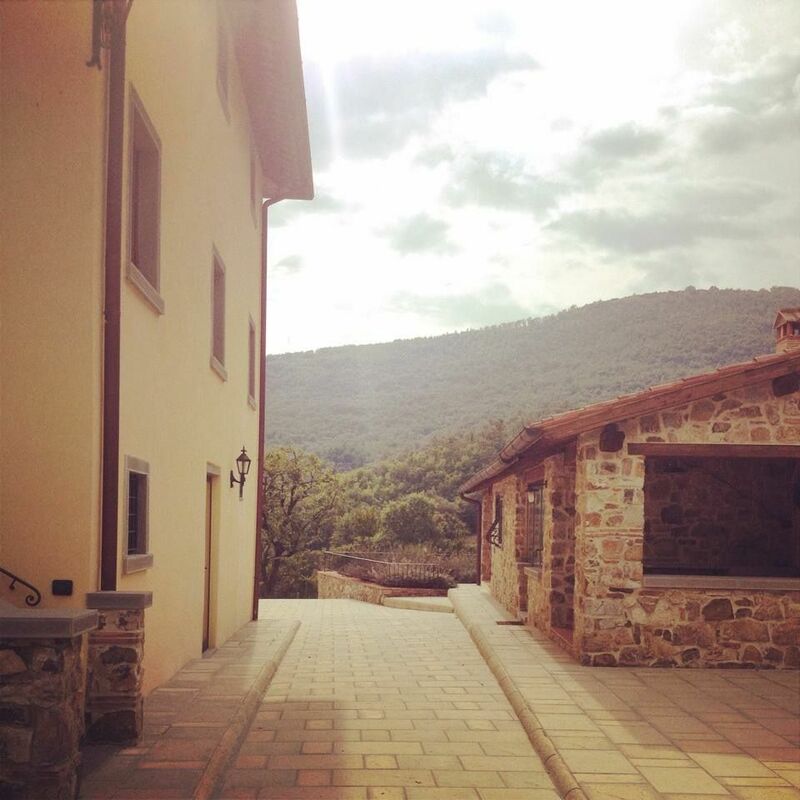 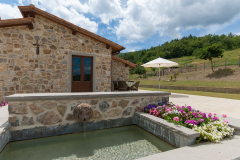 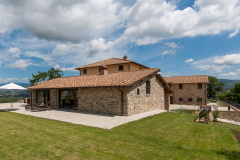 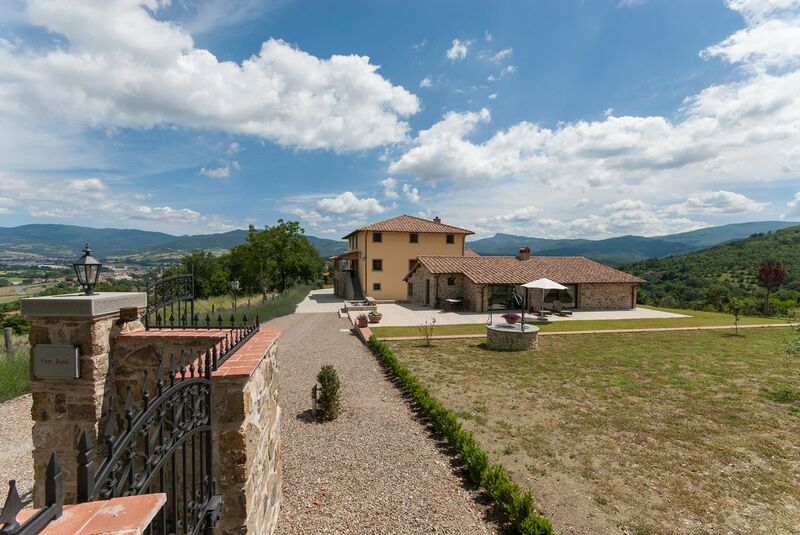 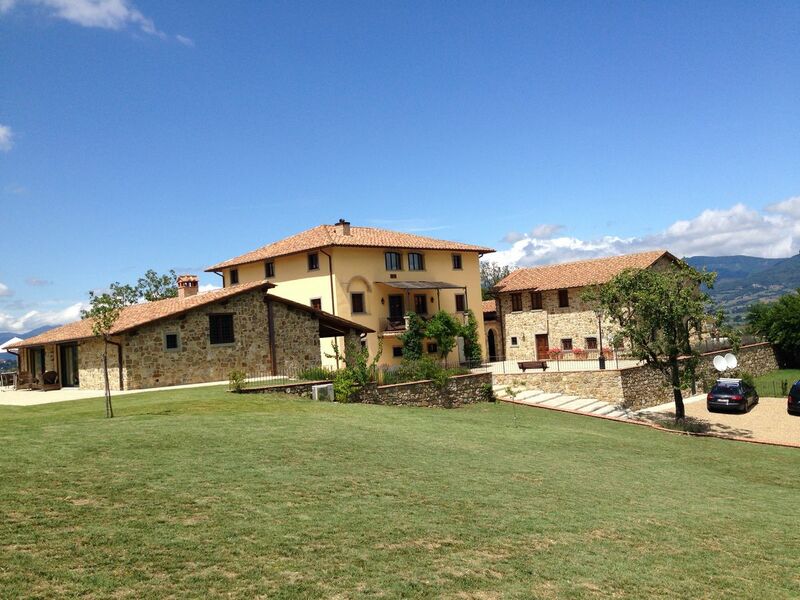 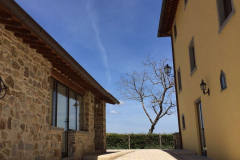 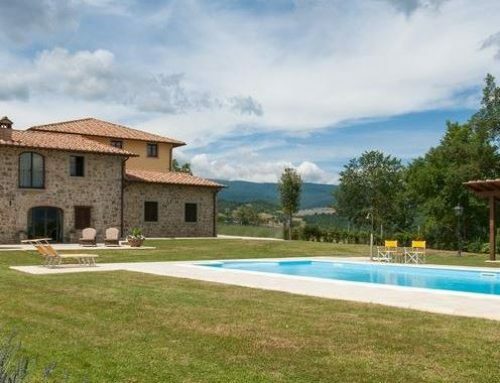 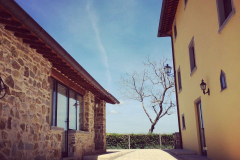 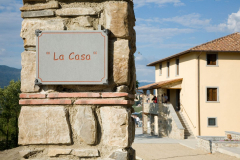 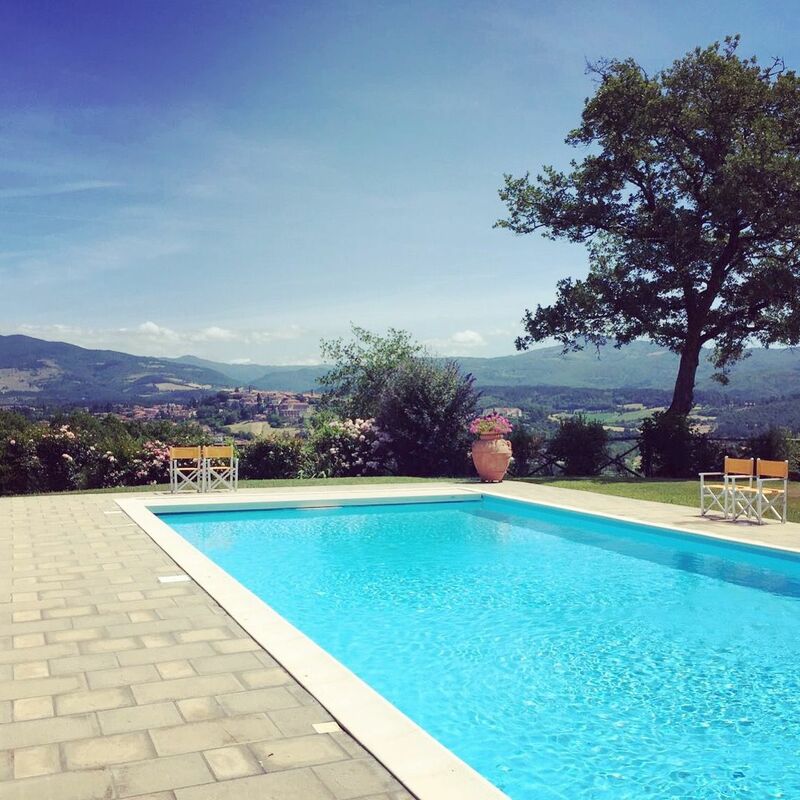 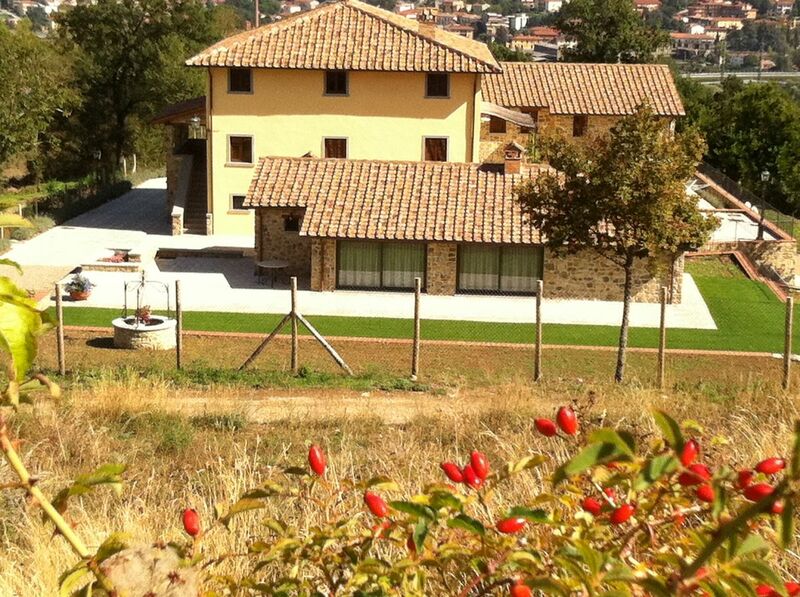 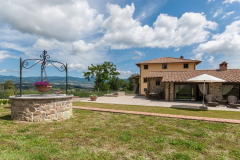 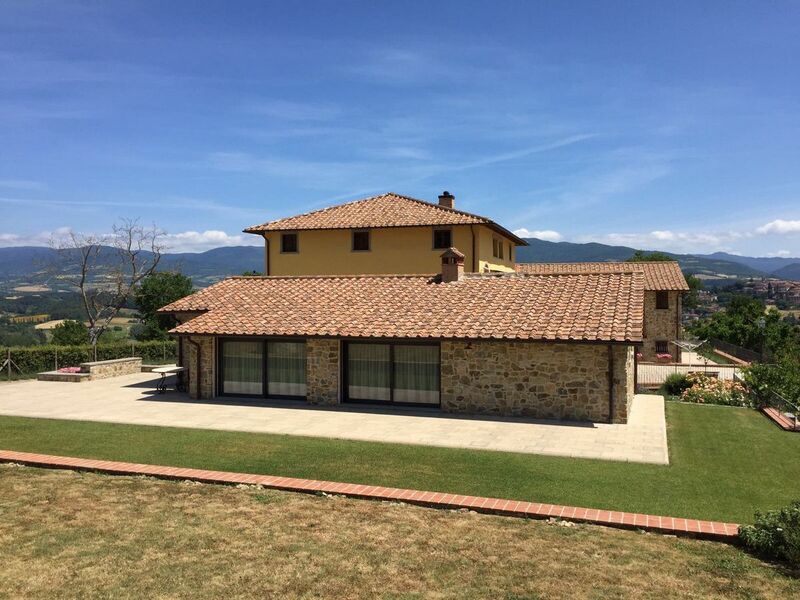 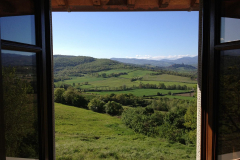 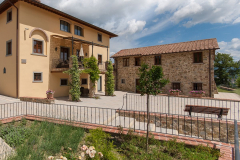 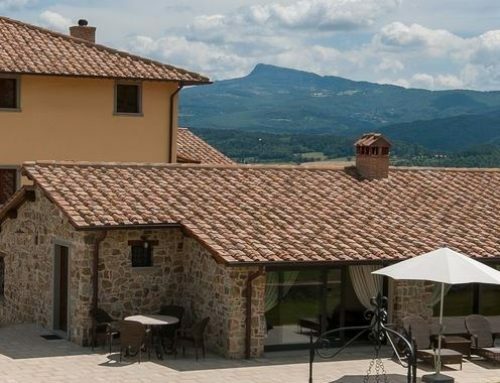 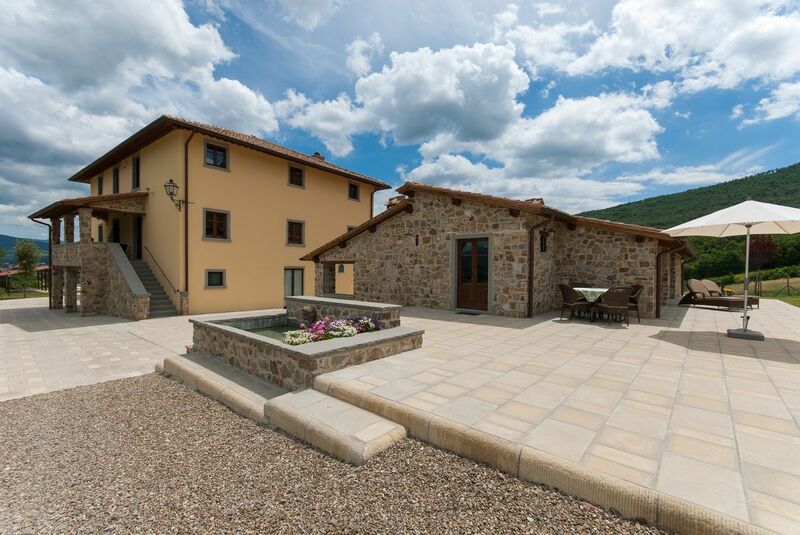 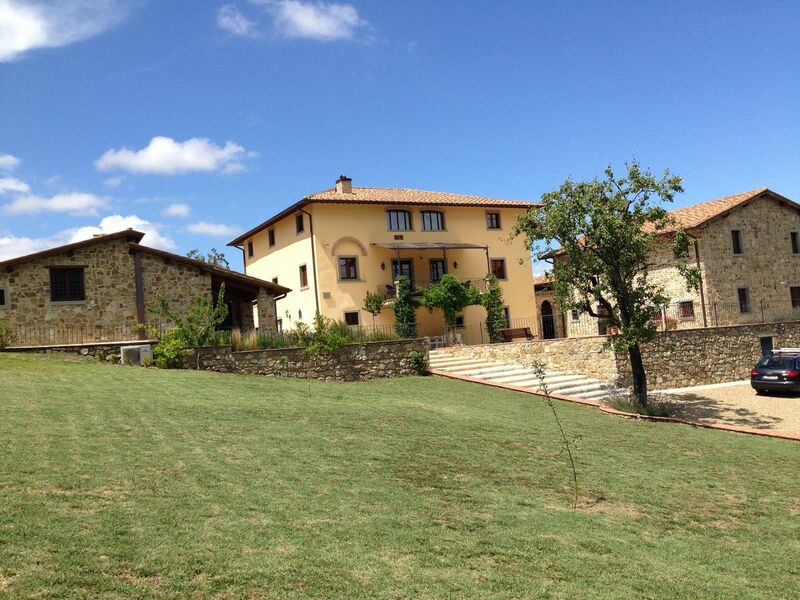 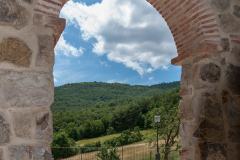 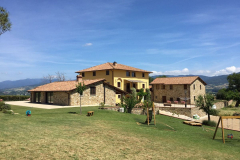 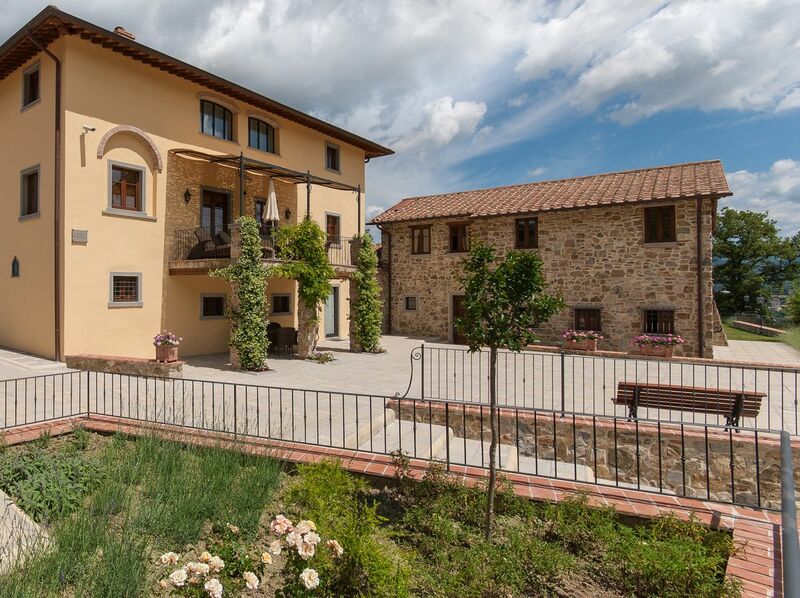 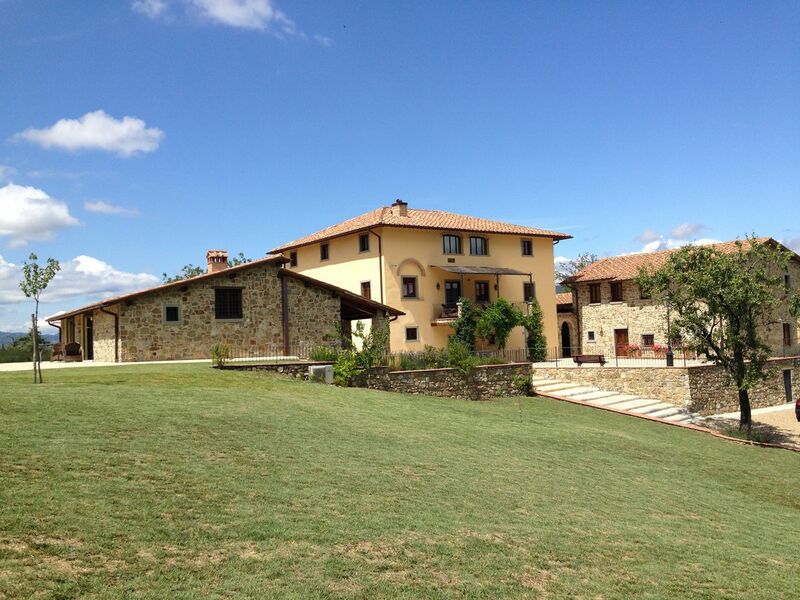 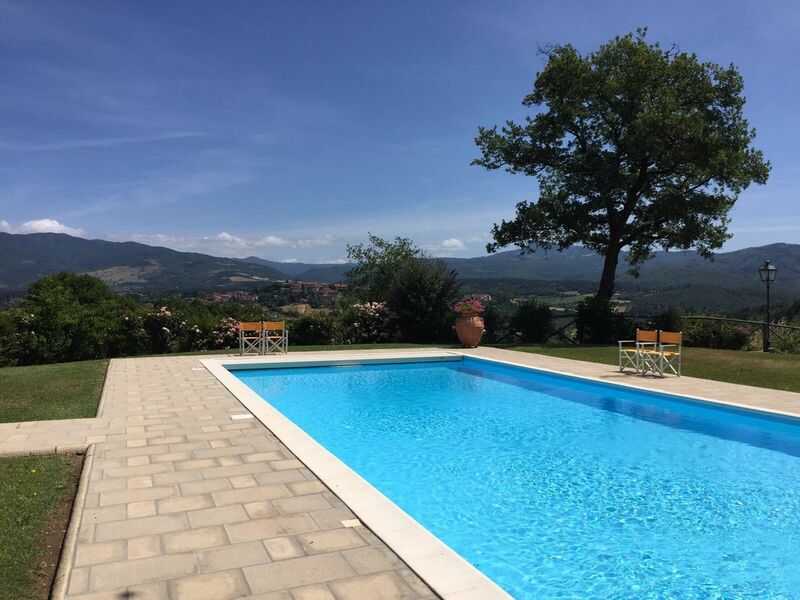 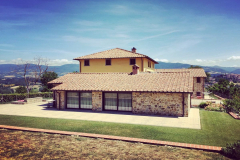 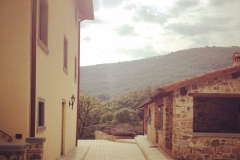 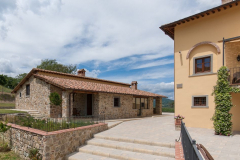 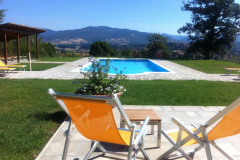 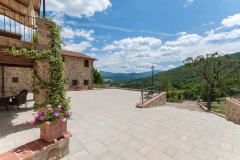 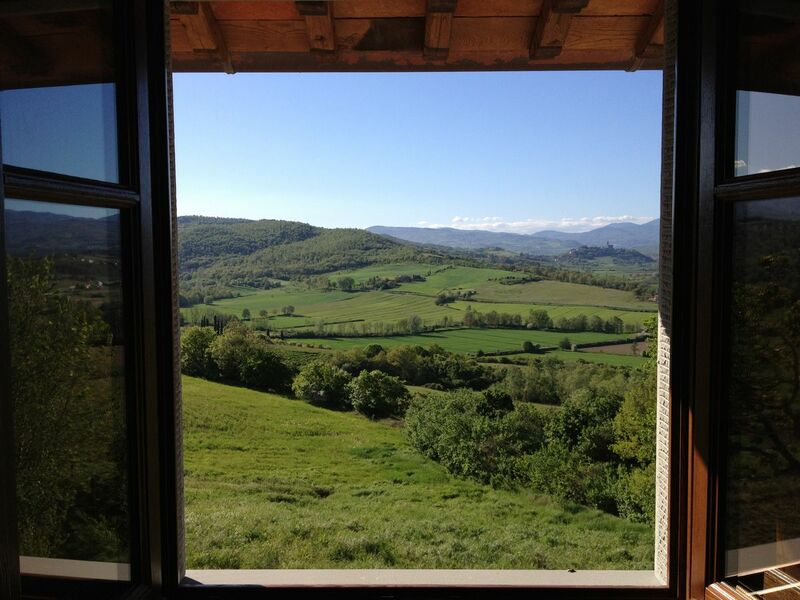 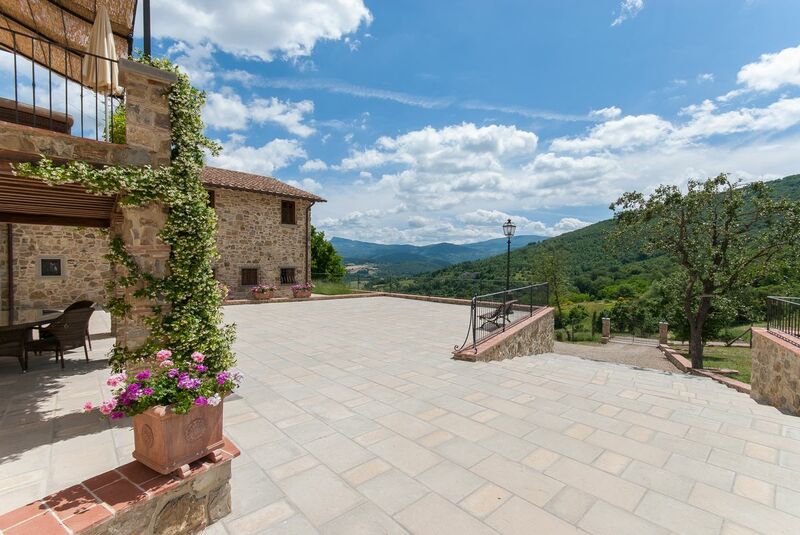 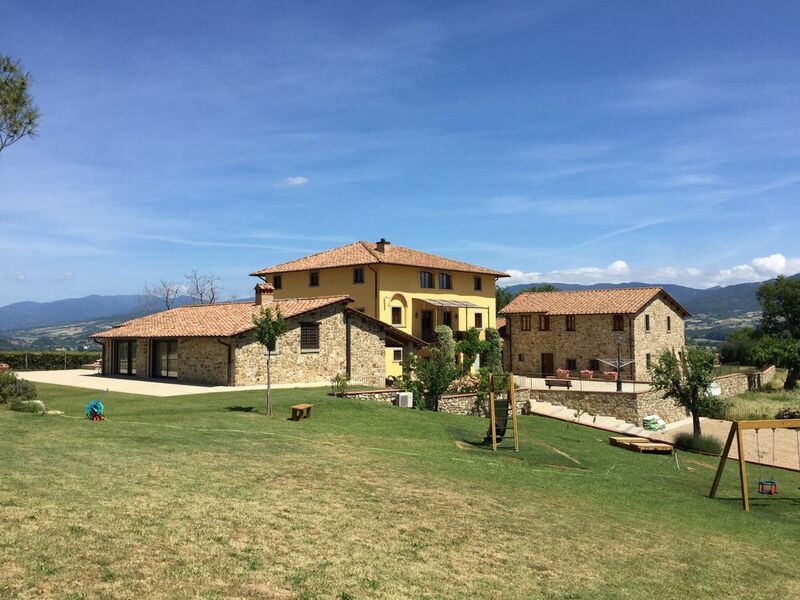 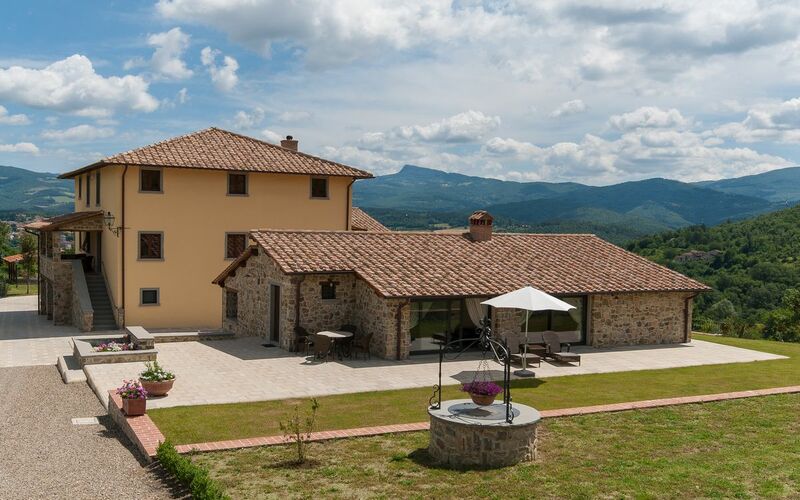 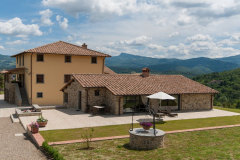 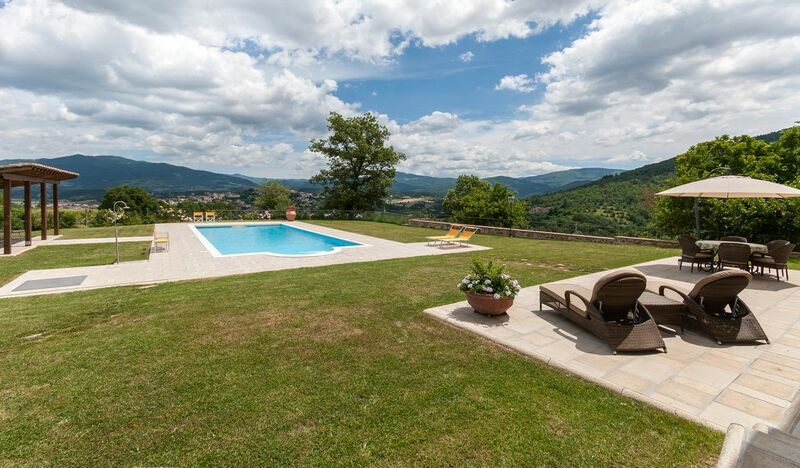 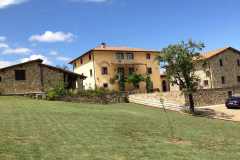 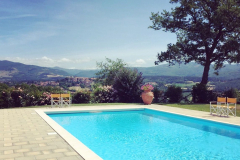 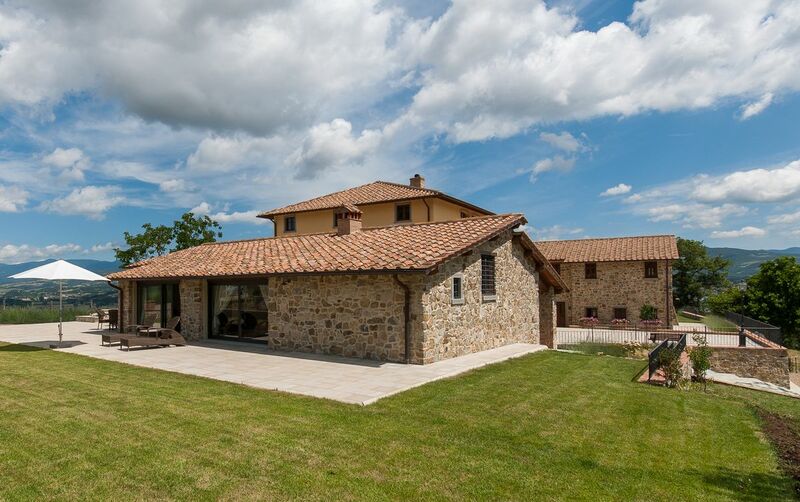 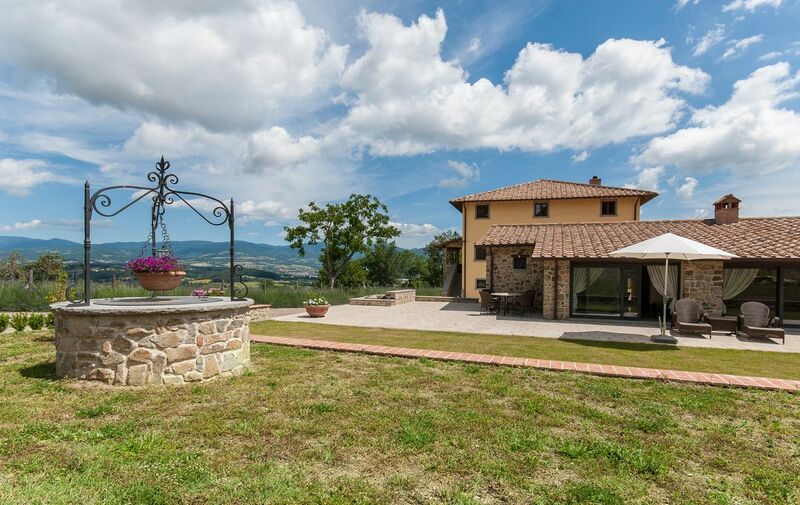 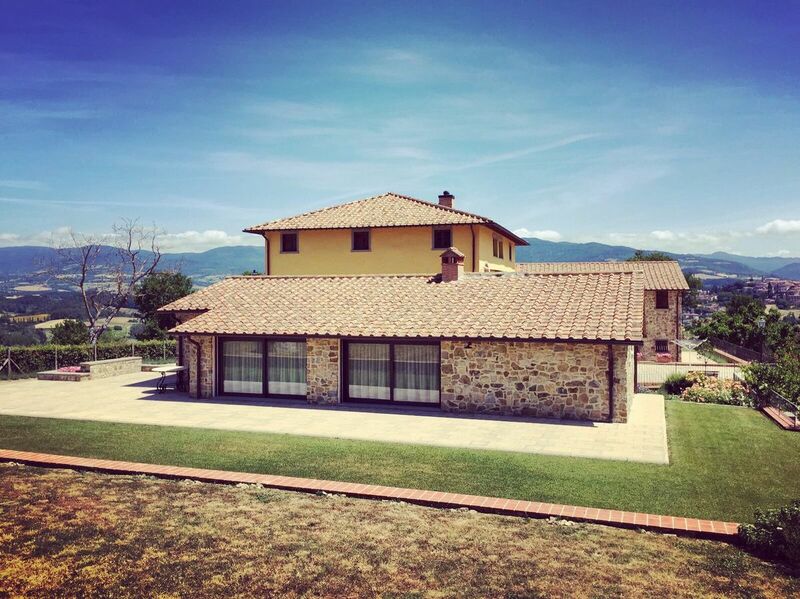 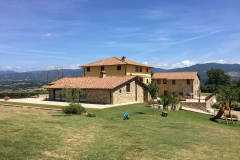 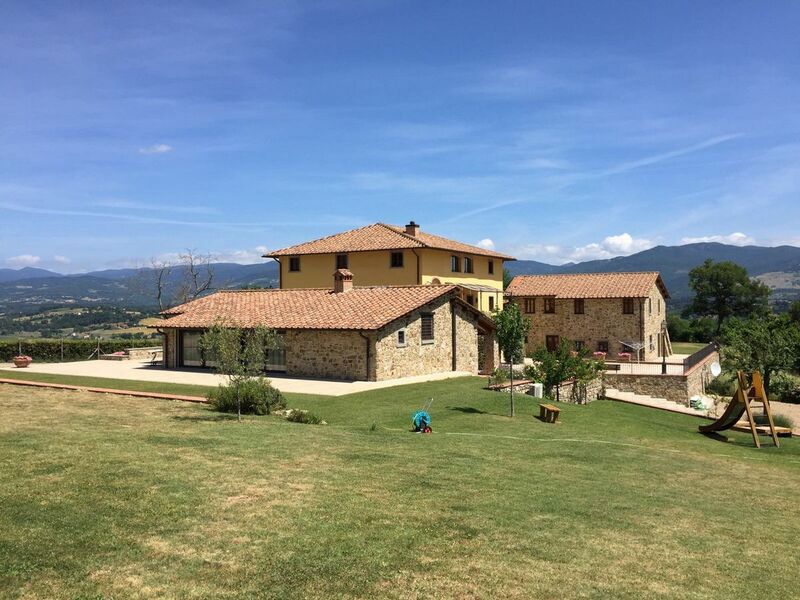 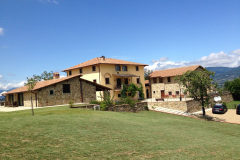 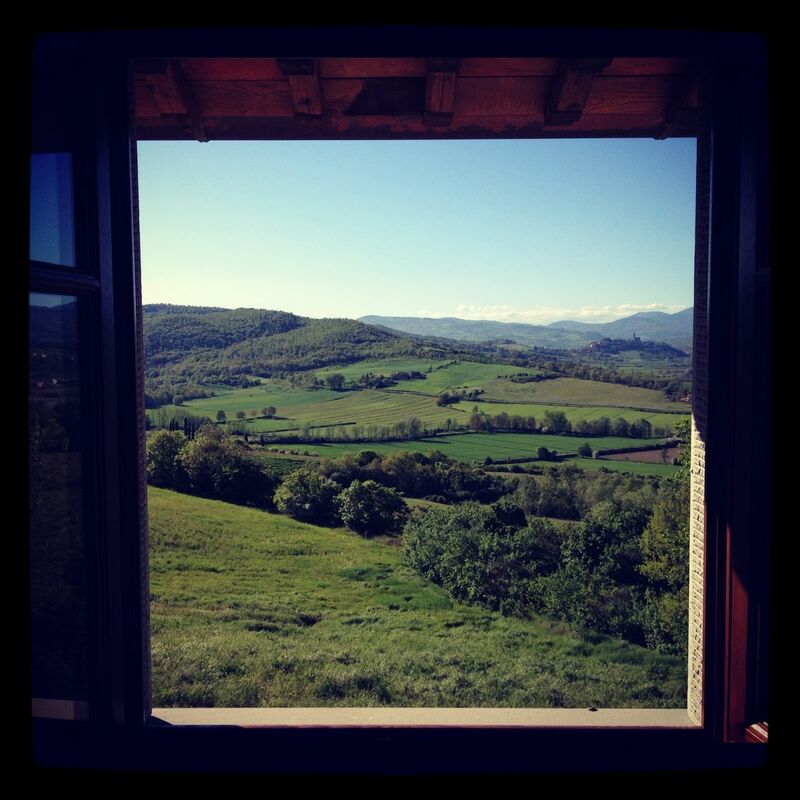 Rent Casa Poppi in Tuscany consisting of two detached holiday homes (max. 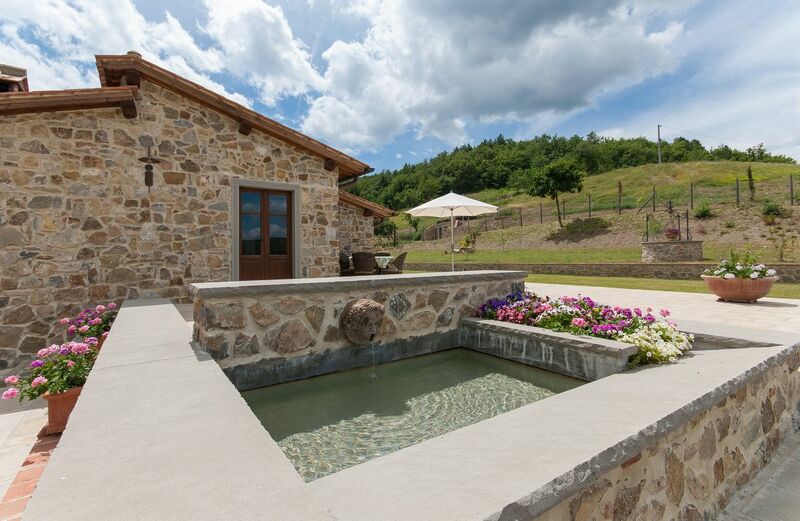 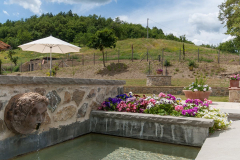 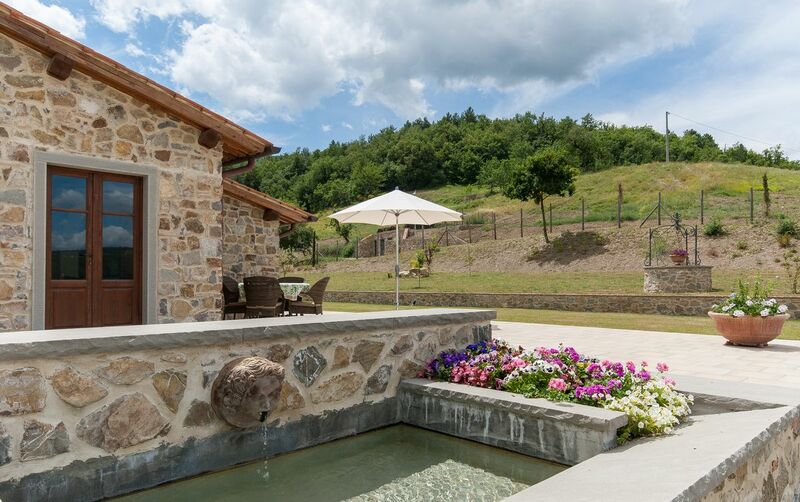 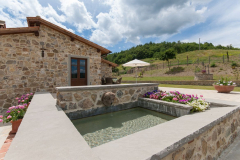 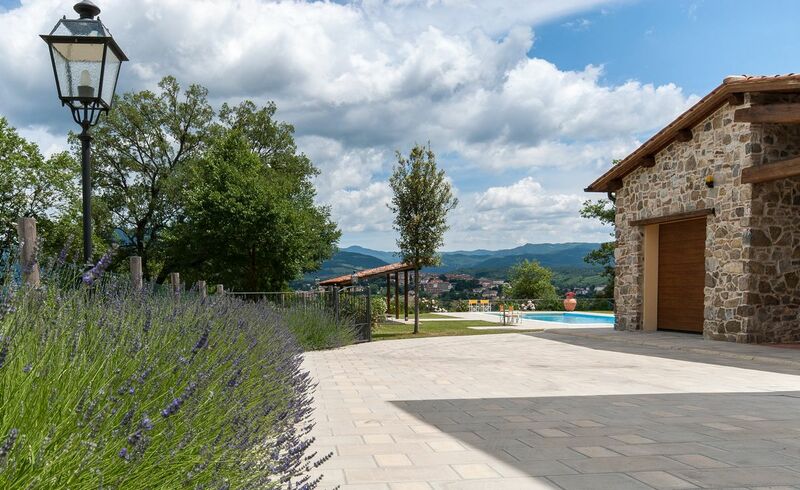 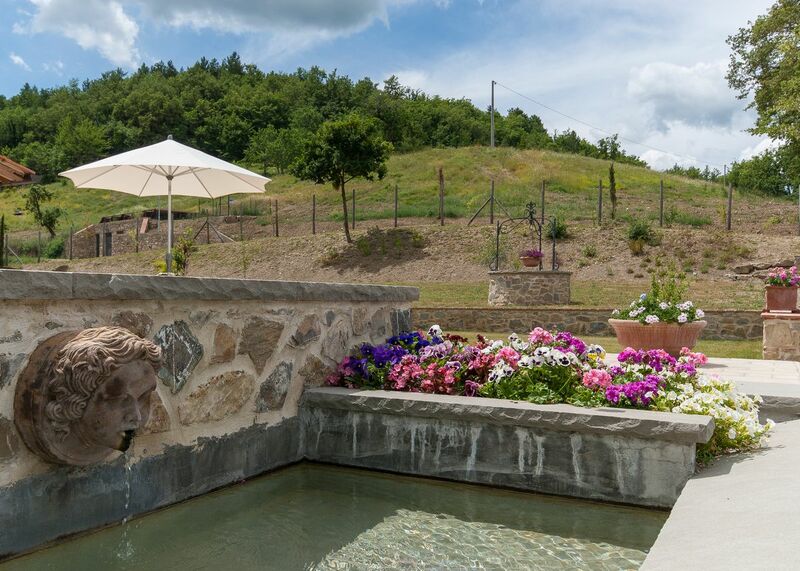 10 people) and a swimming pool, located near the medieval towns Poppi and Bibbiena in the Casentino area. Located around a picturesque little square you will find Casa Giglio (up to 6 guests) and Casa Girasole (up to 4 guests). 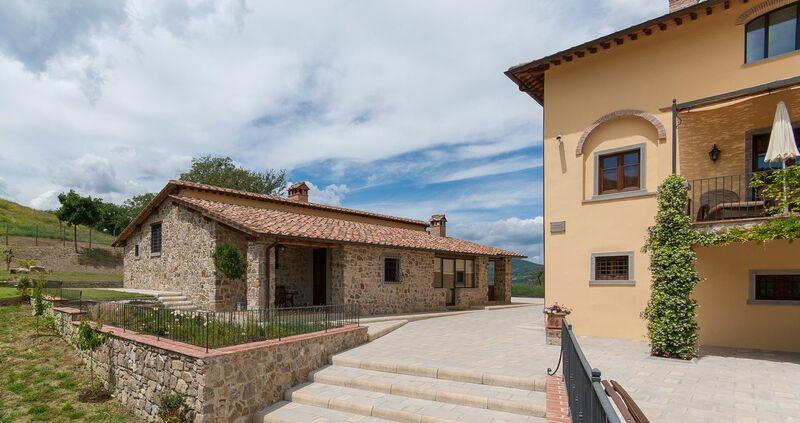 The main house of Borgo La Casa, casa principale, is used as a family holiday home by the Dutch owners, who will not stay at the borgo when the two holiday homes are rented out on a combined basis. 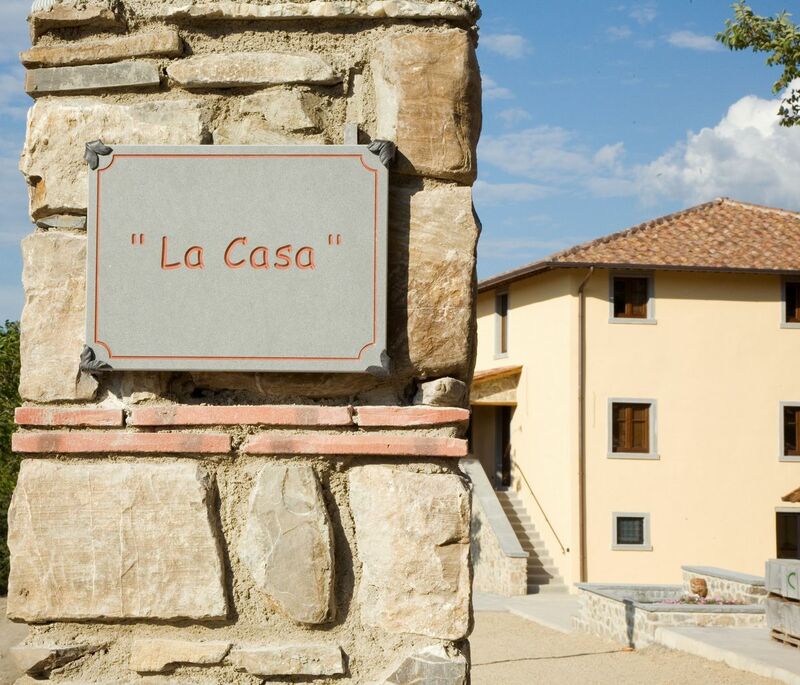 This will provide the guests the exclusive use of the borgo. 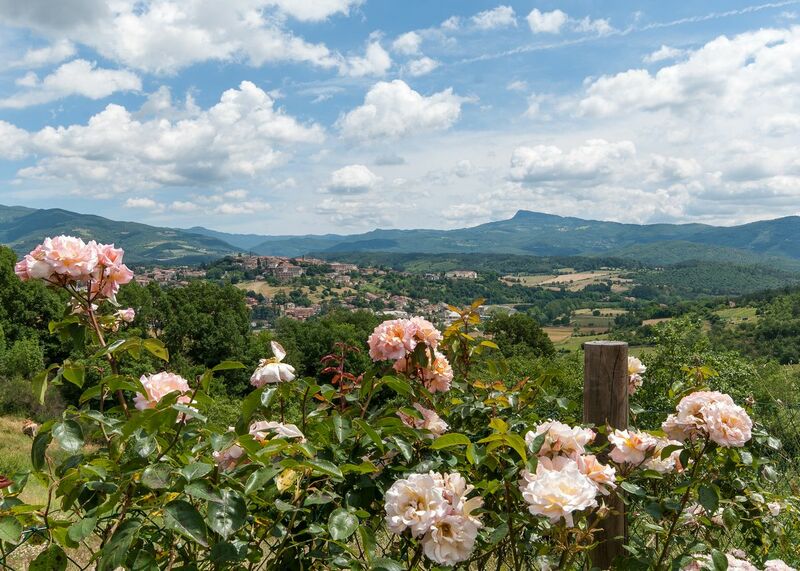 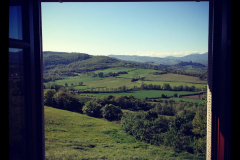 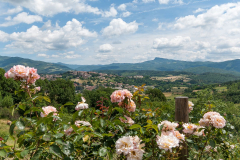 This Casentino valley is located between Florence and Arezzo. 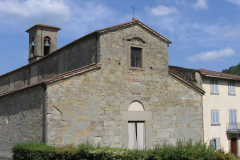 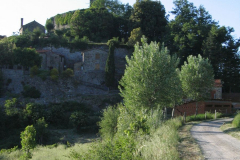 The estate is adjacent to the Arno river and the forest of Pratomagno. 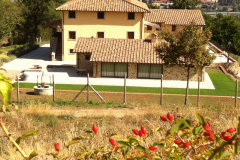 With a little bit of luck you can see in the evening deer or wild boars nearby. The houses are equipped with various terraces allowing you to enjoy sunshine (or shade). 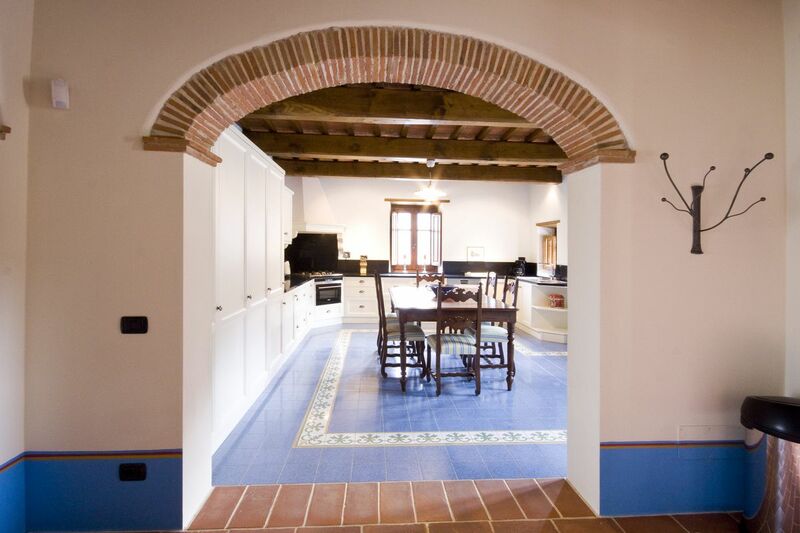 The houses are tastefully decorated with a combination of antique cabinets and wardrobes combined with modern furniture. 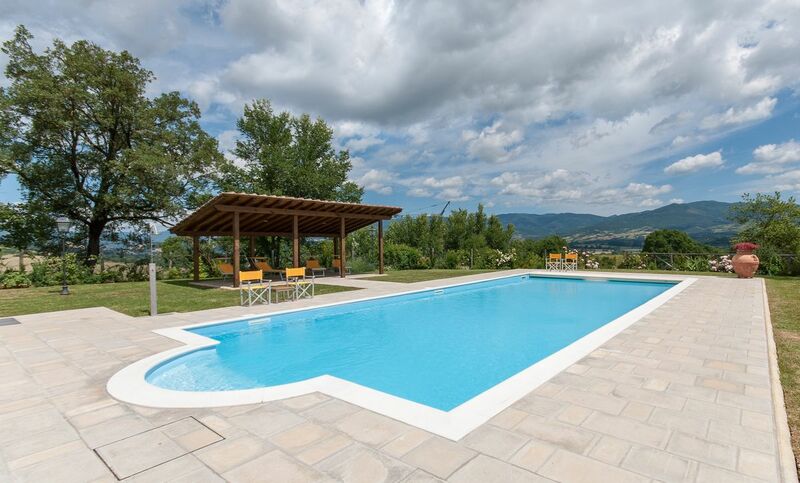 The (heated) swimming pool is spacious and features a deck, sun beds, umbrellas and a spacious terrace. 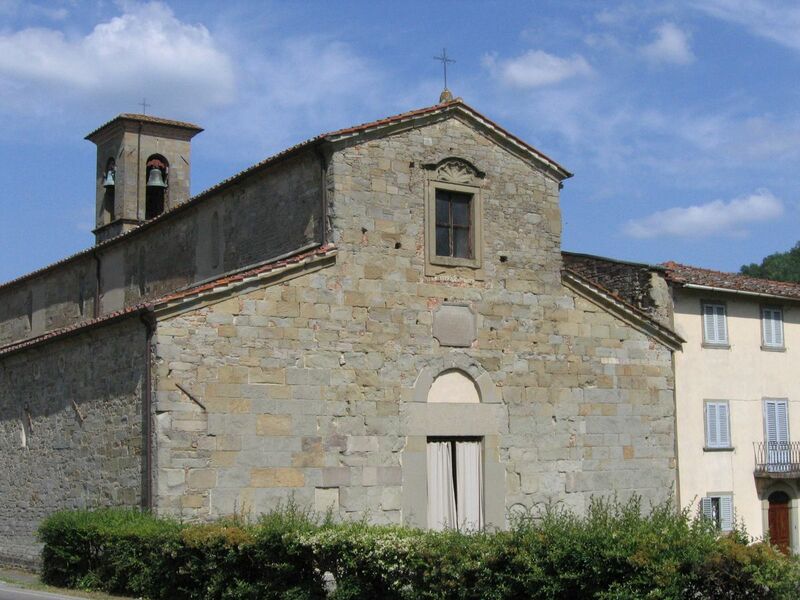 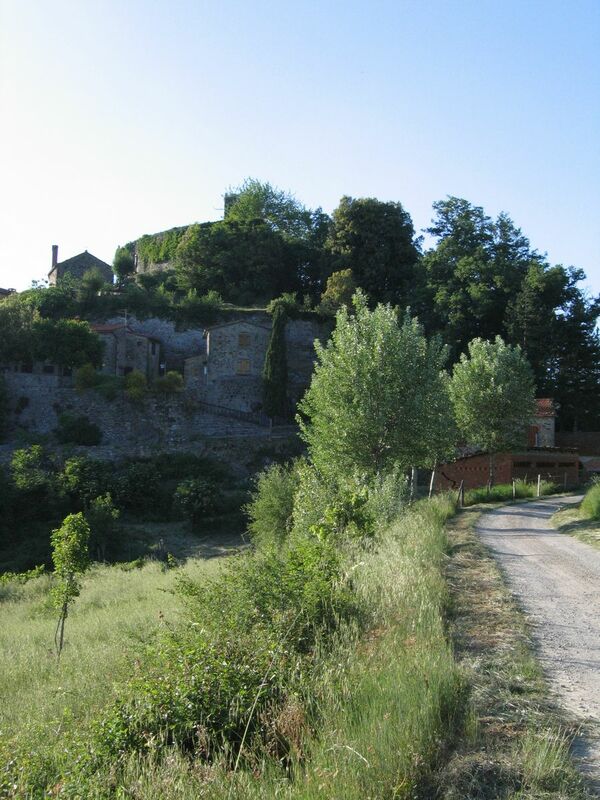 It is in a prominent location of the borgo with a beautiful view of the surrounding area and the castle of Poppi. 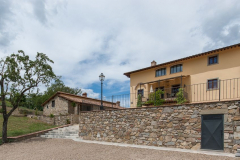 Casa Giglio is a spacious holiday home, built in an authentic style, using traditional materials and wrought iron ornaments. 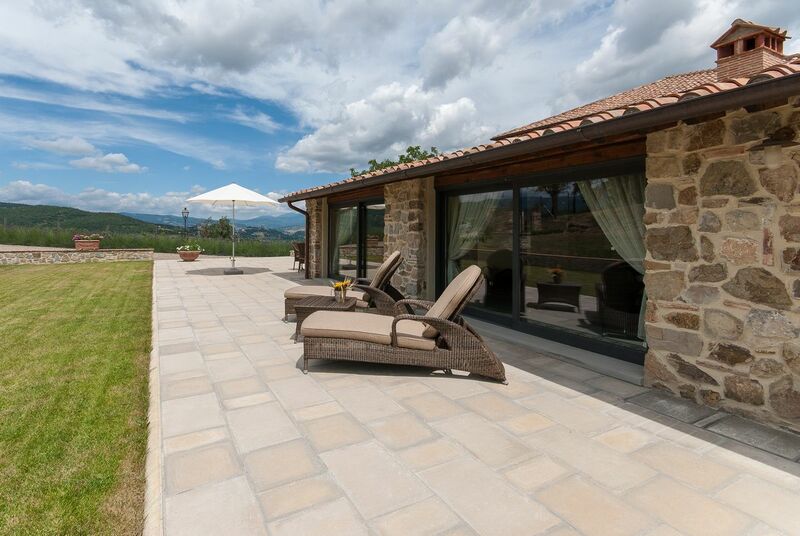 The house is surrounded by spacious terraces on the east, south and west, allowing you to enjoy the sunshine (or shade). 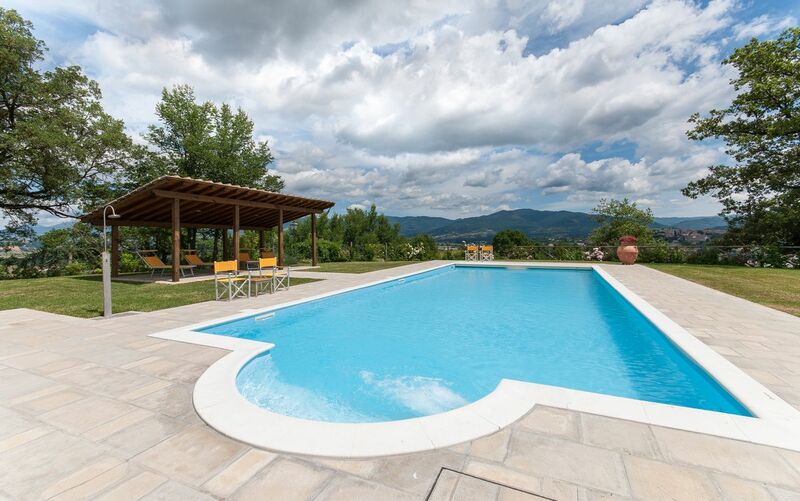 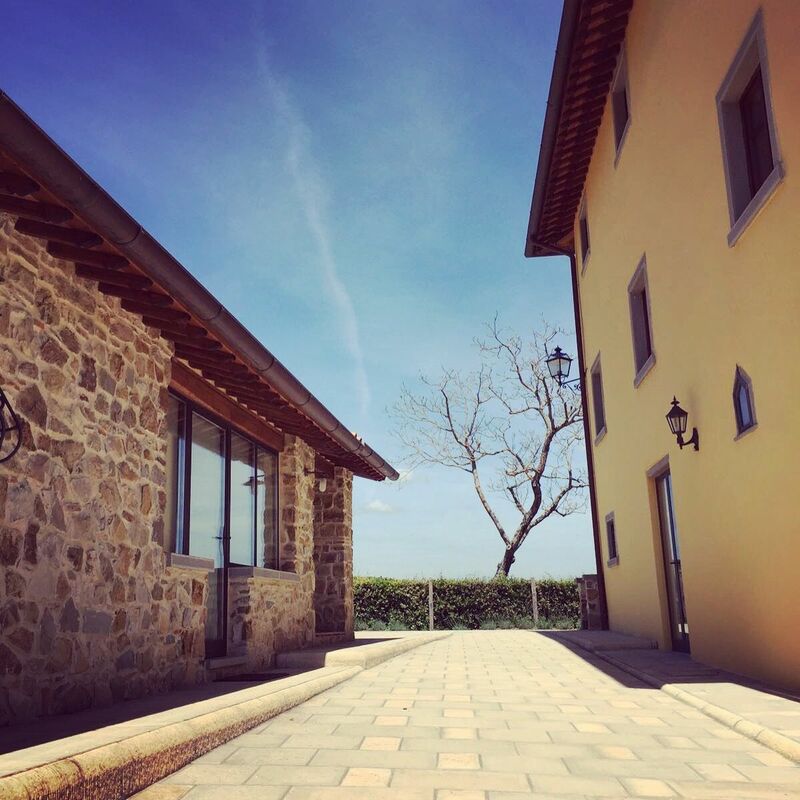 In addition, the property is in the immediate vicinity of Borgo La Casa’s private swimming pool. 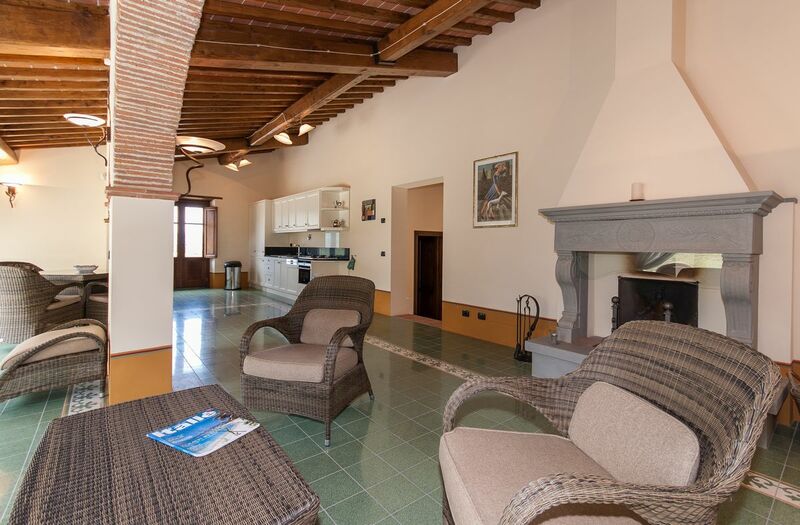 The house has a fireplace in living room and floor heating on both the ground floor and the first floor. 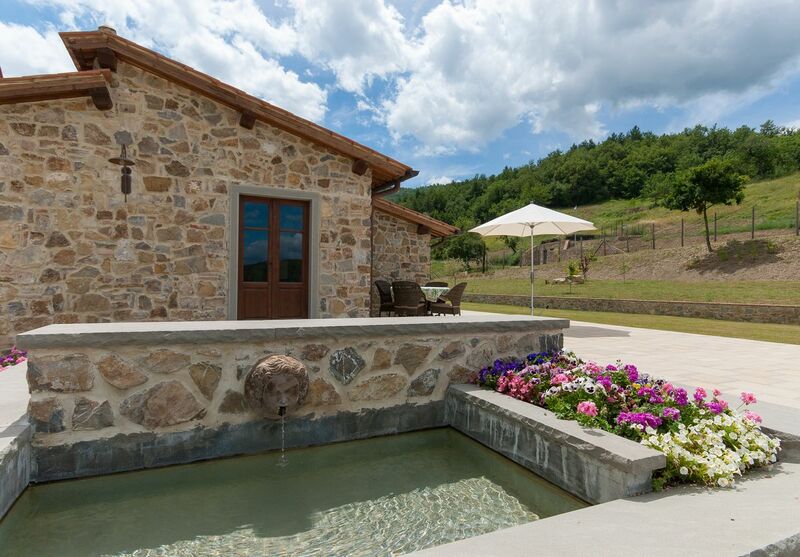 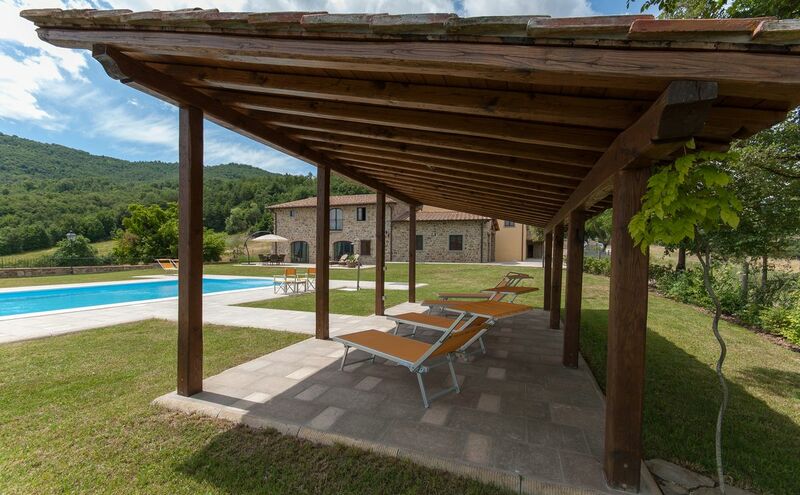 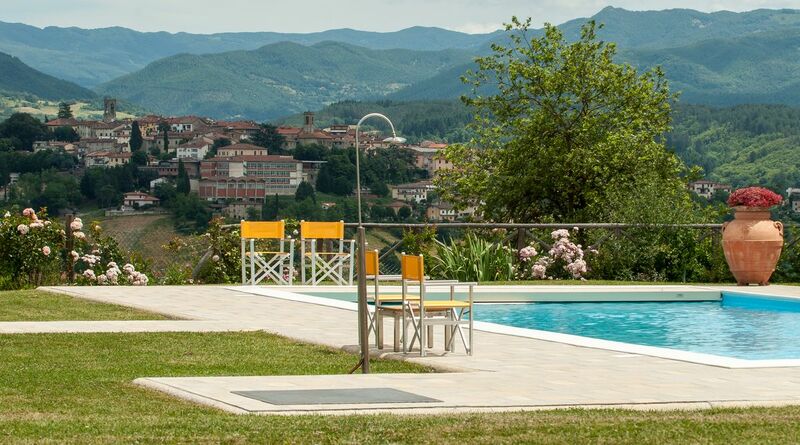 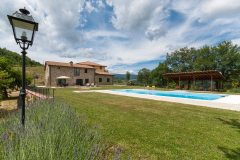 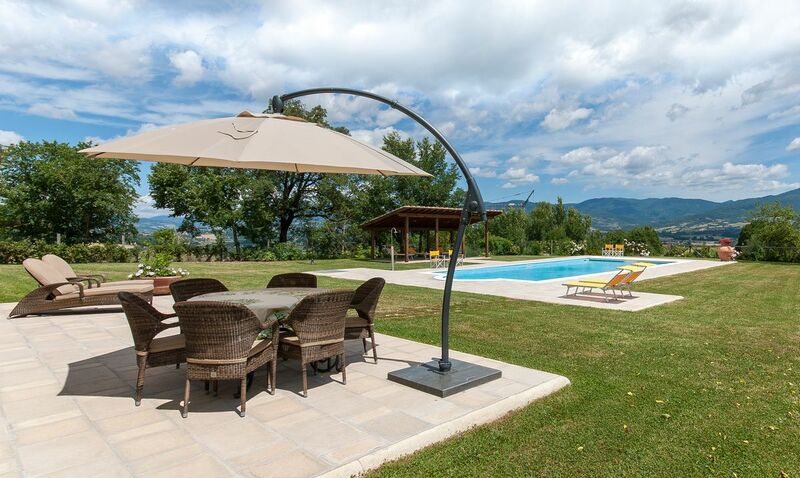 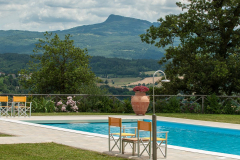 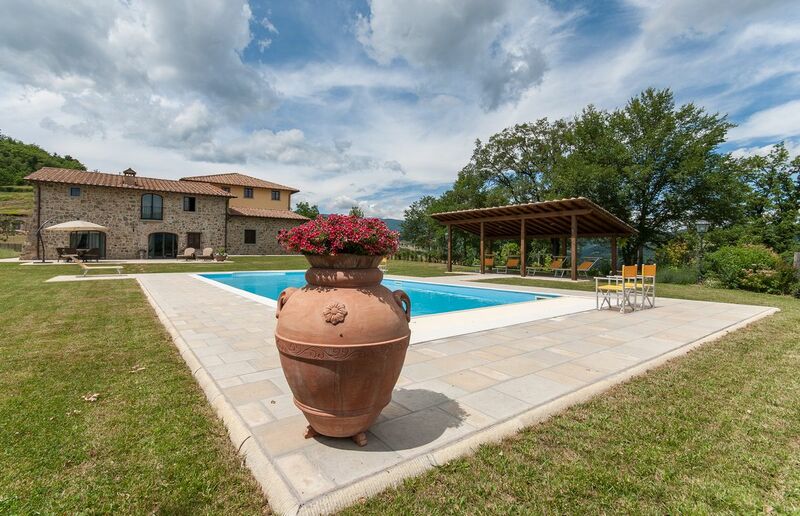 A beautiful and spacious groundfloor holiday home: Casa Girasole (the sunflower). 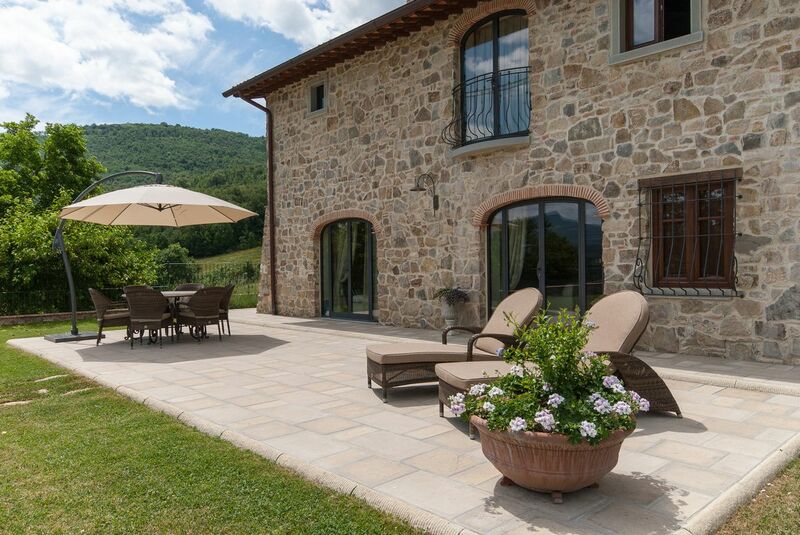 The house has a spacious terrace and a small loggia. 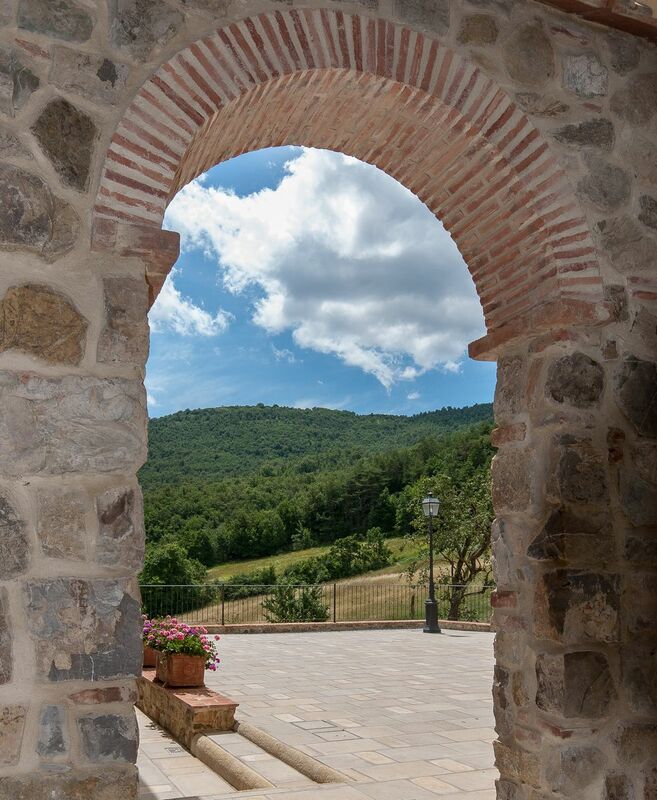 In the loggia you can enjoy the early morning sun or the shadow later in the day. 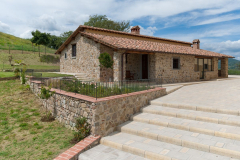 Furthermore, the holiday home has a pizza oven, which allows you to make pizzas in a traditional way. 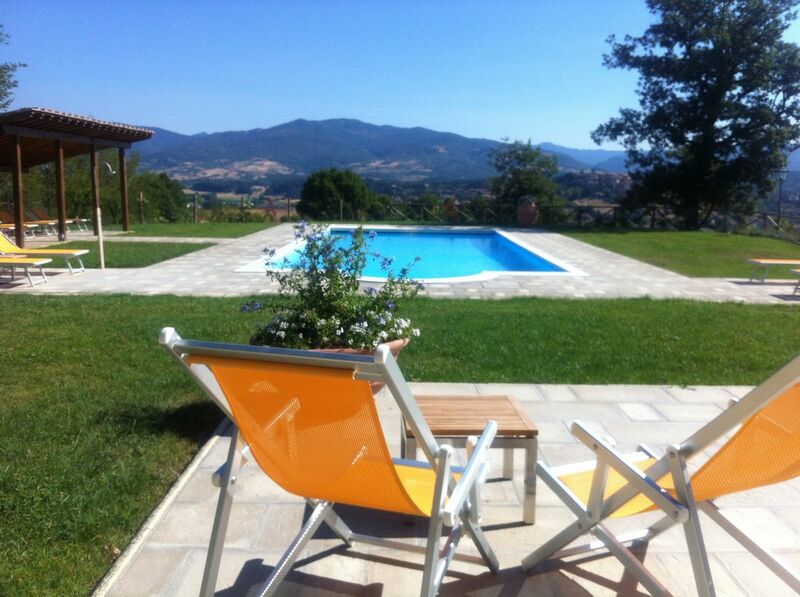 Our vacation rental prices are quoted per week. 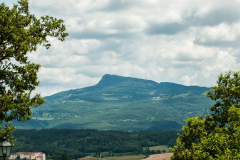 The default changeover day in July/August is Saturday. 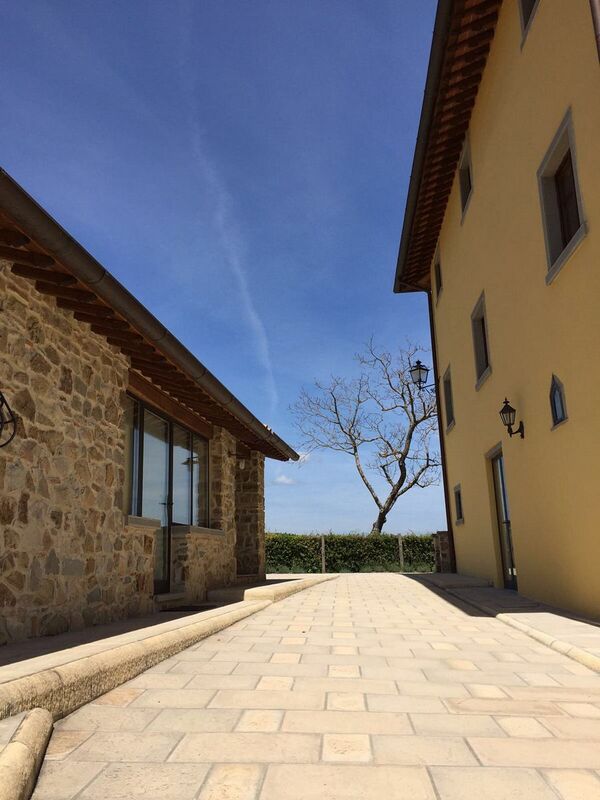 Outside the high season there will be more flexibility in the changeover day. 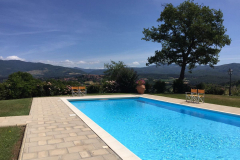 the use of the swimming pool. 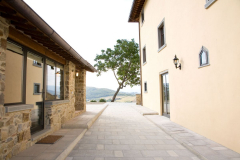 The above rental rates exclude the end cleaning costs (EUR 265). 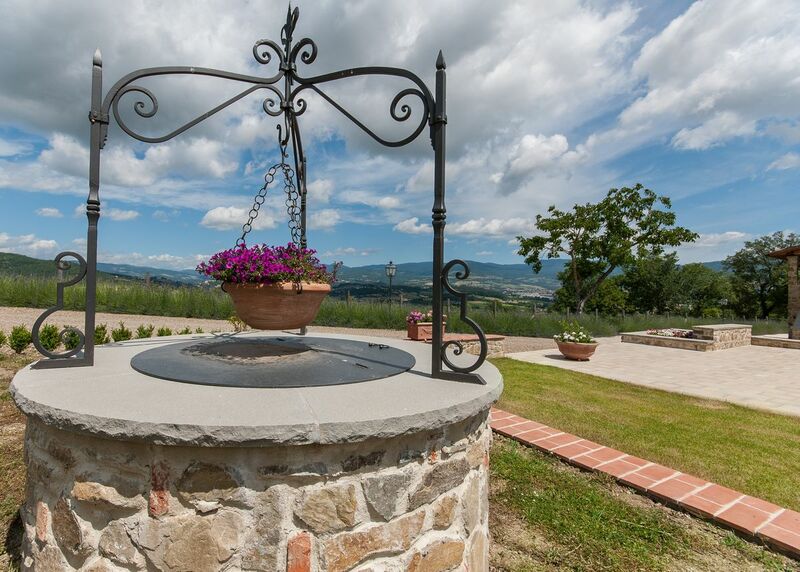 This amount must be paid in advance. 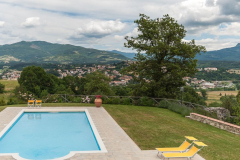 The deposit will be refunded to within one week subject to a regular check-out with our property manager and no damages have been reported by our housekeeper after completing the final cleaning. 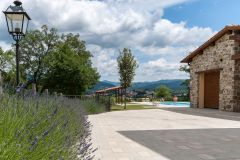 The linen package consists of duvet covers, underlays, pillowcases, white towels for use in the bathroom, hand and kitchen towels for use in the kitchen, tablecloths, guest cloth for use in the toilet and blue bath towels for use by the pool.